Metal shingles with metal frame and siding make this a very low maintenance home. 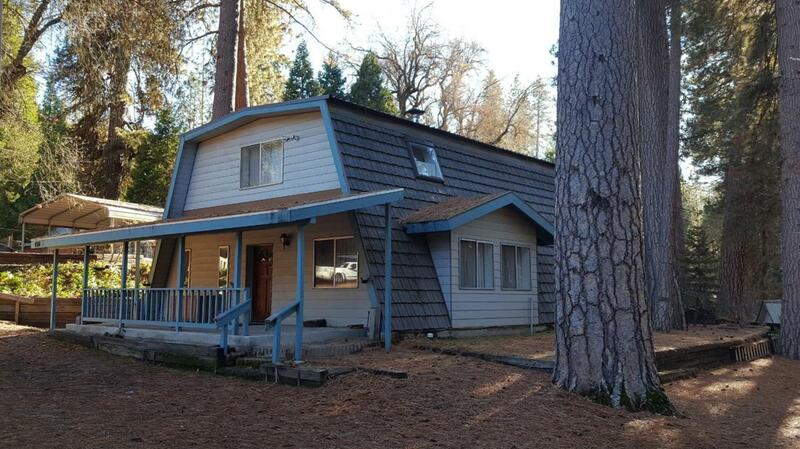 Situated on desirable Capinero creek property in the Sequoia National Forest. The interior features 3 bedrooms and 2 baths. A great kitchen with new counters, a large pantry and Jenn-Air appliances. It has new carpet downstairs with a nice wood stove in the living room. It also includes a central vacuum for easy cleanup. Lots of storage inside and out.